Visitors to Berlin this summer however, have a rare opportunity to gain insight into the complex and varied history of design and designers in the GDR, and at the same time, into the culture and politics of that ill-fated state. ‘Überklebt: Plakate aus der DDR’, an exhibition well situated on the tourist trail on Berlin’s Unter den Linden, offers a fabulous overview of East German poster design from the post-war period until the fall of the Wall in 1989. 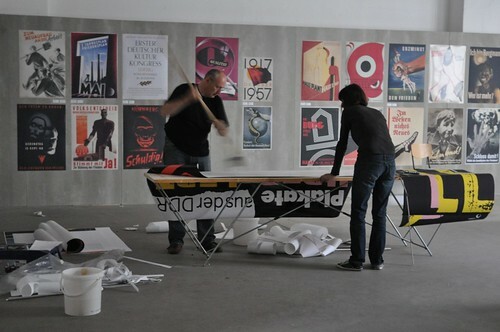 The show has been organised by Stiftung Plakat Ost, a foundation running on a tiny budget, set up by a handful of designers and academics from the former East Germany to preserve and exhibit the poster culture of the GDR. This impressively comprehensive display, spread over 700 square metres, is largely chronologically ordered; all genres of poster design are represented – political campaigning, consumer, travel, agit-prop, issue-based, cultural, educational – with approaches ranging from conformist to critical. The exhibition is accompanied by a programme of events (a few still to come, including a guided tour by its curator, Sylke Wunderlich, on 9 August), and a substantial catalogue. Above: Die burg stellt aus shows the formal connection to the weimar period of Modernism before the imposition of Socialist Realism around 1949 (in the period of soviet occupation, before the GDR was founded). Funkat, 1948. 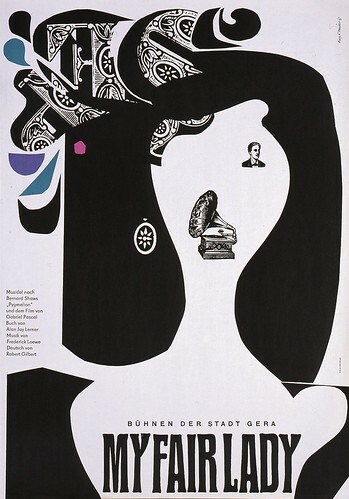 As an exhibition of posters, all of which are produced pre-digital age, ‘Überklebt’ (‘pasted over’) offers not only an insight into the poster as a communication medium in the GDR, but a wider reminder of graphic design in the twentieth century, where the poster had a genuine broad communicative function. Also in Berlin this summer was ‘100 beste Plakate 11’, the‘100 Best Posters’ exhibition, which recently closed (above, now available for viewing online), and offered insight into the contemporary transformation of the medium. Initiated in 1966 by the East German artists’ union, it includes work from Austria and Switzerland, which co-host the show. 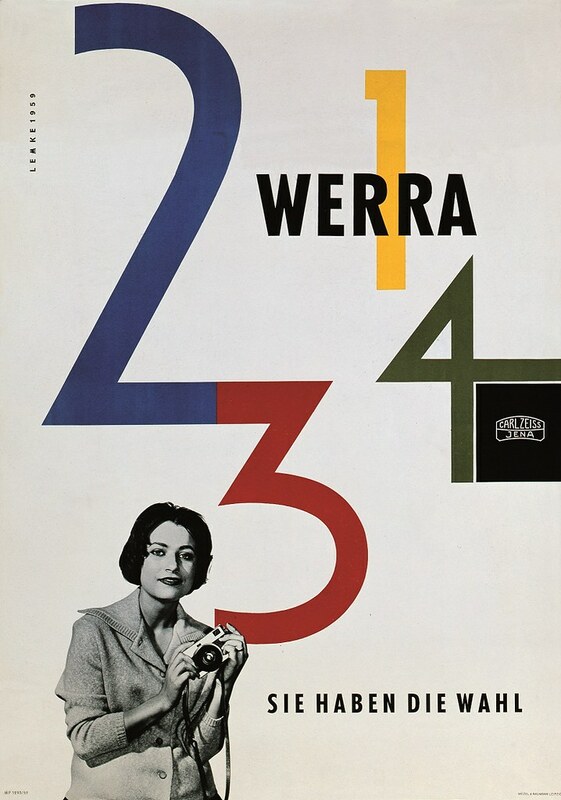 As a means of communication, the 21st-century poster is largely supported by cultural institutions, with the Swiss as continued leaders. The self-initiated or art school project poster is easily reproduced but barely distributed, turning it into an act of private authorship. 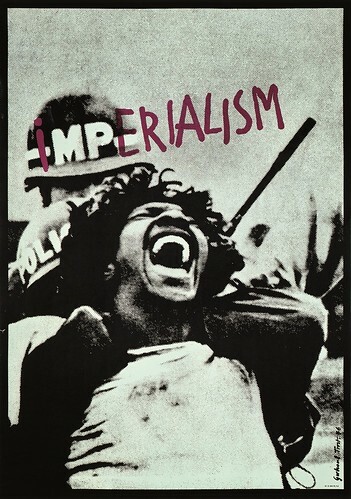 Above: Imperialism by Gerhard Trost, 1977. 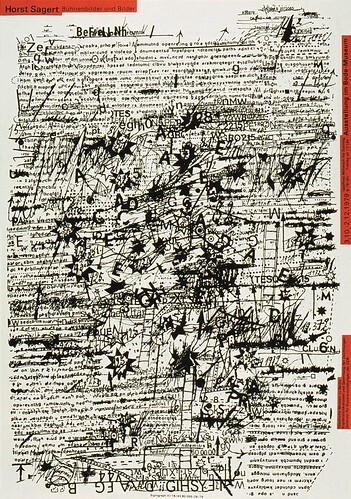 With a few notable exceptions, such as the work by Pierre Maite and Sandy Kaltenborn of image-shift, Berlin, and Claude Kuhn, Switzerland, ‘100 Beste Plakate 11’ shows that as a carrier of a commercial or campaigning message, the poster is now frequently just a minor element in a larger multi faceted visual identity, so quickly produced that there is no sense of reflection. 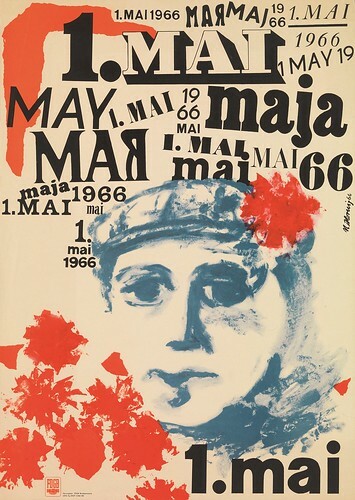 These exhibitions have survived thanks to the persistence of a handful of individuals, and in the case of East German poster design, offer a refreshing view into the creativity present within East German culture. In part two of this blog, next week, I will turn to the East German product designers, who are campaigning to protect their heritage. 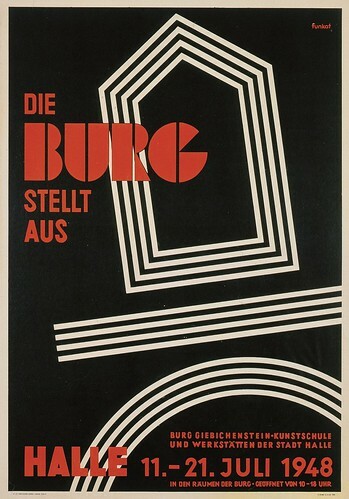 ‘Überklebt – Plakate aus der DDR’, curated by design historian Sylke Wunderlich, from the Stiftung Plakat Ost, is at Unter den Linden 40 (near the Brandenburg Gate), 2nd Floor, 10117 Berlin-Mitte, Germany, until 17 August 2012. There is a closing party on 16 August, at 19:30, with music from the Sogenannten Anarchistischen Musikwirtschaft. Images supplied by Stiflung Plakat Ost. Exhibition installation photograph by Kathrin Menge. See Grant Carruthers ‘A designer's paradise’ in Eye 56. Jessica Jenkins is a designer and design historian, based in Berlin and London. She is currently working on a doctoral thesis on the art and design of public spaces in the former German Democratic Republic, at the Royal College of Art.